Games like God of War are becoming something of a dying breed. Many major AAA games are trying to be increasingly open with their worlds, with games becoming more of a sandbox and less about story and developing characters. That is not to say there are zero story driven more linear games to play, but it appears AAA publishers are finding those games less appealing to back than more open / only only experiences. It is refreshing then, that Sony has seen fit to help bring us a brand new entry in the God of War franchise. This new era for the series not only brings us back to the hack and slash gameplay we know and love from the series, but also improves upon it along with its puzzles and story. God of War brings us into the world of Norse mythology and out of Kratos’ comfort zone of Greek mythology. After successfully taking vengeance on the Olympian Gods, Kratos has decided to settle down in Midgard with his son. Atreus is the son of Kratos’ second wife, Faye. After her death, Atreus and Kratos begin to journey to the top of the highest peak in the nine realms to spread her ashes at her request. 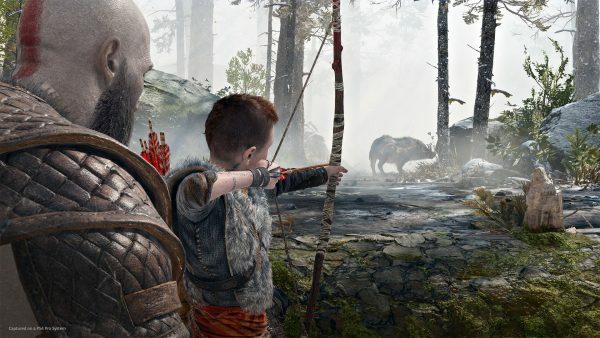 It is then that we truly begin our hero’s journey as Kratos and Atreus must deal with monsters, angry Norse gods as well as their own personal issues that could either bring them closer together or tear them apart. The story is some of the strongest in the series, if not the overall strongest in the franchise’s 13 year history. Kratos’ tale has never been more emotional and heart warming as he only desires safety and normality for himself and his son. He does what he can to prepare his son for the world, while protecting him when he can. Their relationship has its ups and downs throughout the main story and you feel each peak and valley the entire way. While I wish Atreus had been written better as a character, a part of me still desired to see the boy safe and unharmed throughout the game. 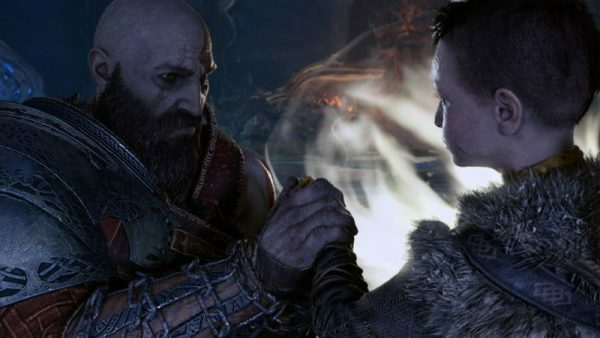 Even at Atreus’ worst prepubescent arrogance, I still wanted both him and Kratos to succeed in their journey and come through stronger as characters. 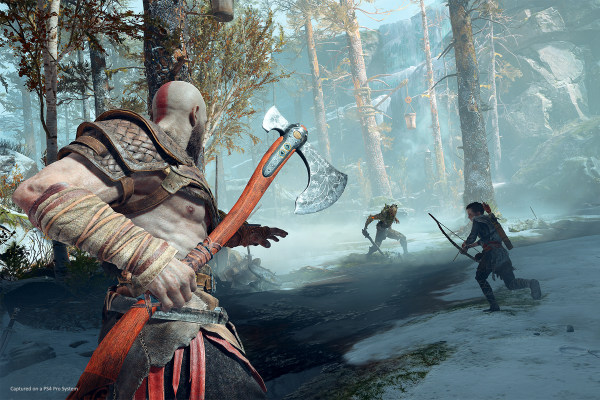 God of War brings back the hack and slash gameplay of the previous seven games and even improves on it with major changes, almost as if the systems had been rebuilt from the ground up. 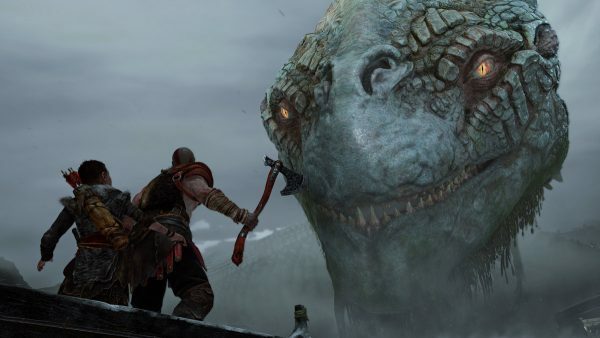 No longer is Kratos wielding the Blades of Chaos, but now carries a battle axe called the Leviathan Axe. This axe not only returns to you in the style of Thor’s Hammer, Mjolnir (appropriate for the setting of the game) but assists you in puzzles with the added element of freezing certain objects in place. You will need this if you want to get past certain puzzles in the game or certain challenging enemy encounterss. You can also obtain new abilities and skills for yourself and Atreus by using a currency called Hacksilver to for the duo’s forward progression. You also get the addition of runes that can upgrade your axe with. This allows you to customize gameplay to your liking more than previous games depending on your play style. You can go for faster, light attacks or heavy and slower ones if you prefer. You also have a new shiny shield in this game as well to mix things up with. You can use it to defend and parry much like the Golden Fleece in previous games. One of the series staples, quick time events, are still present but they play out slightly differently than previous games with two meters, stun and health, that will change during events. 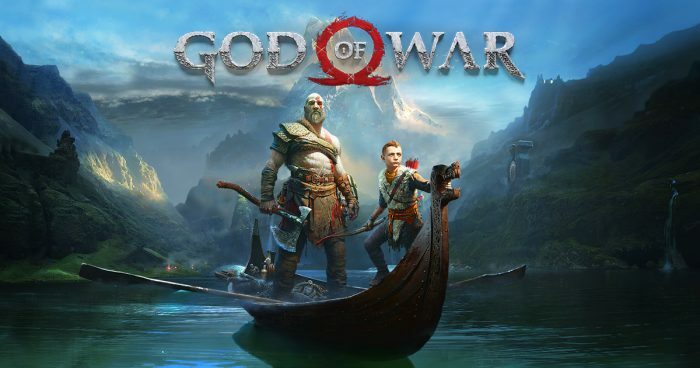 Overall, 2018’s reboot is a top notch entry in the long running the God of War series. This game shows maturity, improvement in game-play, as well as introducing a set of a relatable characters and it all still remains, most importantly, fun. It is refreshing to see a narrative driven, more linear game like God of War, released during the glut of AAA open world sandboxes that fill have filled up the release calendar lately. I highly recommend this game and hope you enjoy it as much as I do.